The Evolution 33 is a really good looking fishing vessel which is ruggedly built and capable of withstanding arduous conditions. This vessel has been used privately from new and has only 250 engine hours recorded due to the work commitments of her owner. She has been maintained to a high standard and is well looked after. She has just been anti-fouled and professionally polished in January 2019. The accommodation has 4 berths, 2 single berths in the forward cabin and the dinette converts to a double berth. The galley is located behind the helmsmans seat with the heads in the forward cabin under the port side settee berth. She is ideal as a recreational vessel or for charter fishing trips, diving excursions or as a trip boat. This boat deserves to be viewed. 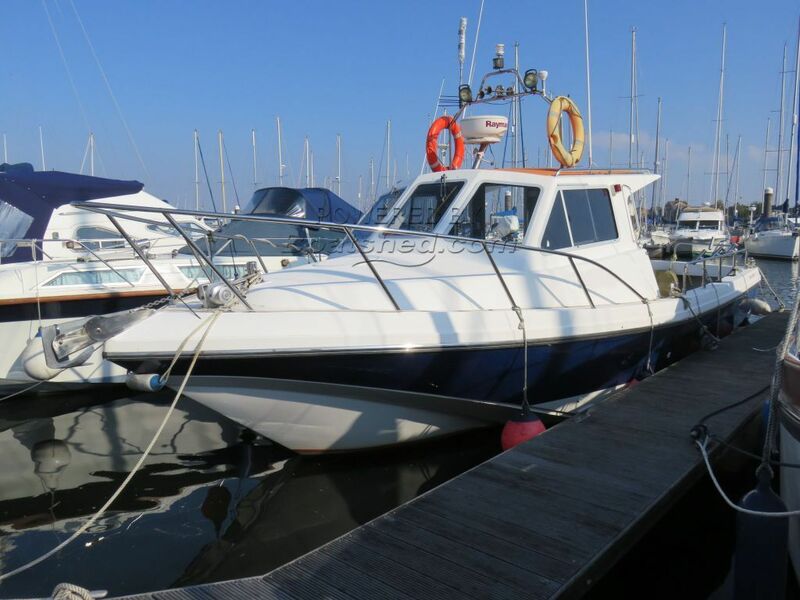 This Evolution 33 has been personally photographed and viewed by Keith on 07968 375172 of Boatshed Wales. Click here for contact details.